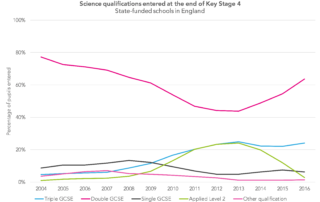 Long-term outcomes: How did life turn out for pupils who took applied science qualifications at Key Stage 4? 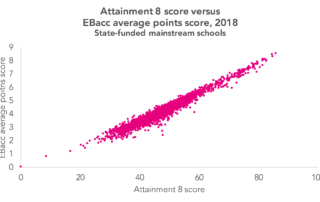 Does the EBacc APS really tell us anything new? 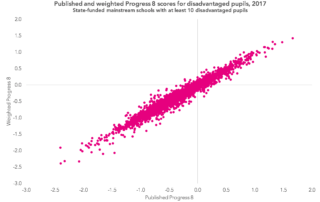 And how might this be changing? 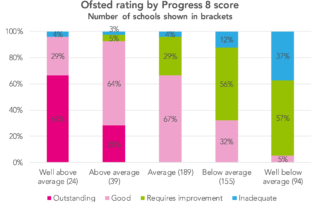 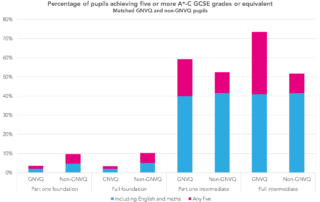 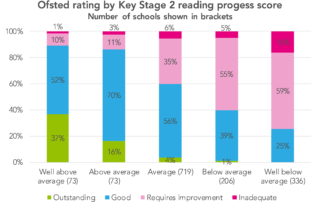 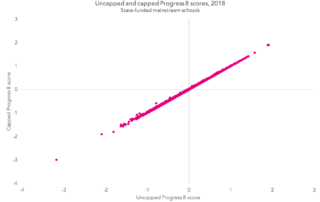 Long-term outcomes: How did life turn out for pupils who took GNVQs? 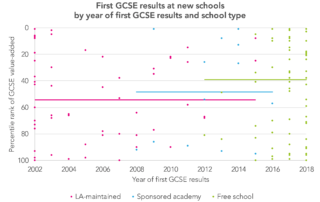 At their height, tens of thousands of pupils entered the qualifications each year. 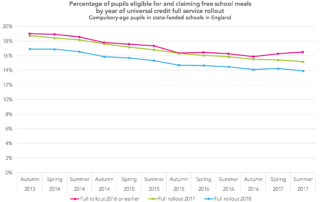 An example of how eligibility for free school meals changes in response to changes in benefits policy.